It was a typical summer day in Florida, the sun was out and it very hot and humid. Who knew that an invitation to escape the heat and join a friend at swim practice would have been the beginning of something special…the beginning of a Fit Life! 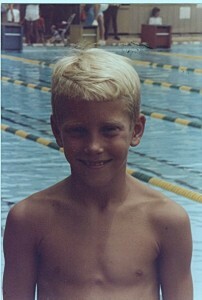 Brooks started swimming competitively at the age of six. By the time he was ten, he was ranked 4th in the nation, and by the time he graduated from the Naval Academy he had qualified for the Olympic Trials and NCAA’s. But just because the structure provided by his swimming career was ending, it was just the beginning of his own ‘fit life’ journey! For him, swimming and the healthy lifestyle that accompanied the sport became a natural part of his day just like eating and sleeping. Those habits have continued and even been improved over time as technology and education have evolved. That said, even with his extensive background in health and fitness, he had experiences with family members that really opened his eyes to the health problems associated with being overweight / obese. Being directly impacted by the health problems of loved ones, he wanted to find a way to help others in similar situations. 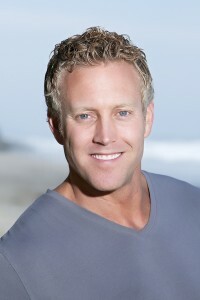 After helping friends and their families that were dealing with similar weight related issues, and getting rave reviews for making it simple, while individually customized, he decided to put Fit Life 212 together and really reach out to people looking for lasting results through lifestyle changes. Along the way, Brooks had his own ‘health scare’ when he was having trouble breathing and he had to have a 2.5 hour operation to biopsy the lymph-nodes in his chest. The biopsy was negative & lymphoma was ruled out, but during those weeks when there was a possibility of having cancer, he spent countless hours researching the relationship between nutrition and cancer. Even though the biopsy was negative, he continues to use food and proper nutrition as the best preventive medicine out there. All products and services are now handled through NatalieJillFitness.com. Wondering what 212 stands for? Watch this video for the answer. It is the little things that make a big difference. The Lean Life is KEY to creating a healthy lifestyle!